Sydney Navarro dribbles the ball against UIC on September 10, 2017 in Murfreesboro, TN (Joi Williams/MTSU Sidelines). 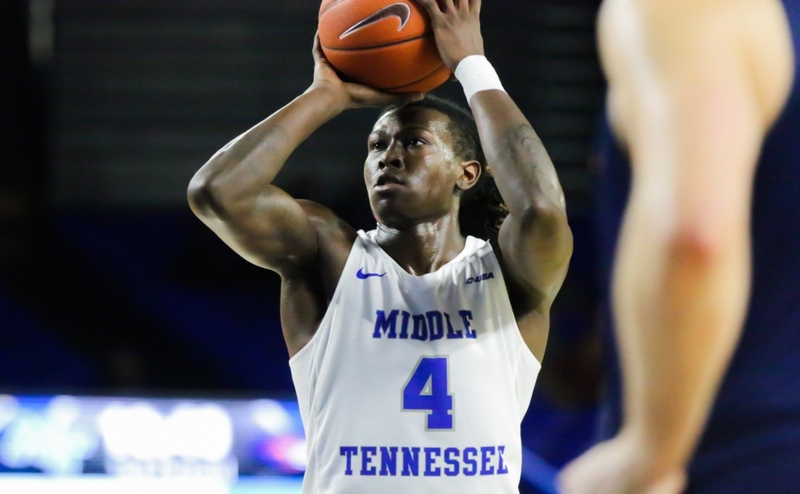 The Middle Tennessee Blue Raiders (3-4) are scheduled to play host to the University of Texas at San Antonio Roadrunners (1-7) in the first conference game of the year on Sunday at 2 p.m.
MTSU comes in red-hot, riding a three-game winning streak. 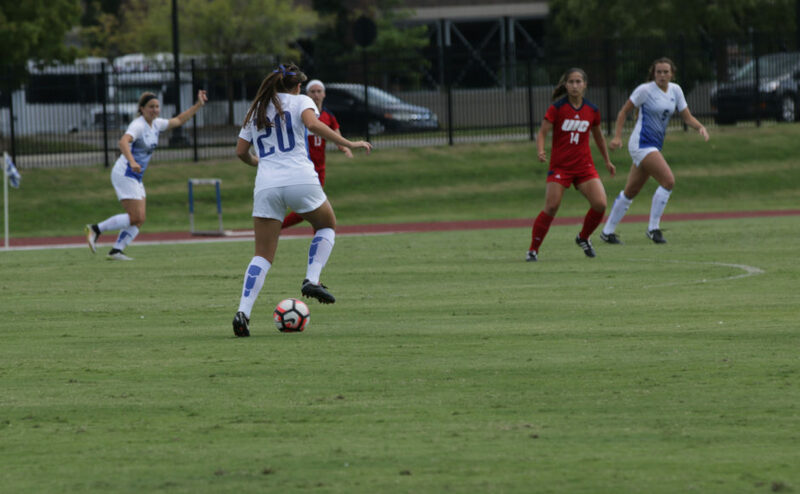 On the other hand, UTSA comes into Sunday’s match as losers of their last seven games, including a conference loss to Louisiana Tech University. With Conference USA play starting up, this young Blue Raider team will have no other choice but to rely mainly on their underclassmen in order to be successful in conference. Below are five key players that will need to make a big impact in order for the Blue Raiders to have successful conference season. Navarro is one of seven starters returning from the 2016 squad, which only earned two wins in conference play last season. She is coming off a sophomore year where she was selected to the all-conference 3rd team. 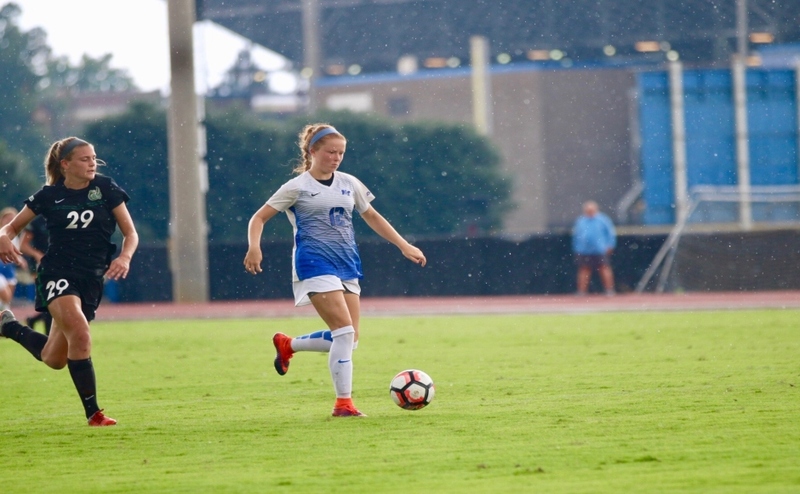 The Blue Raiders will need the junior defender to be rock-solid in all of conference play, mainly so the young and talented forwards can take risks when on the attack. The sophomore midfielder leads the Blue Raiders in assists with three and is second on the team in points with five. Hoot also tallied the game-winning goal in the 92nd minute last Sunday against Evansville. If Hoot can continue to advance the ball up to her dangerously skilled forwards, this Blue Raider team could be poised for a huge year. She could even find herself on an all-conference team at the end of the year. The Blue Raiders goalkeeper enters conference play on a bit of a hot streak. Chalcraft has started in net every game for the Blue Raiders and has picked up her play after a slow start. She has been one of the key contributors on this three-game winning streak. Everyone knows that if the other team can’t put the ball in the back of the net, it’s going to be hard for that team to win. Sophomore Chalcraft will have to be a reliable goalkeeper if this team wants to have a shot to contend for the conference crown. 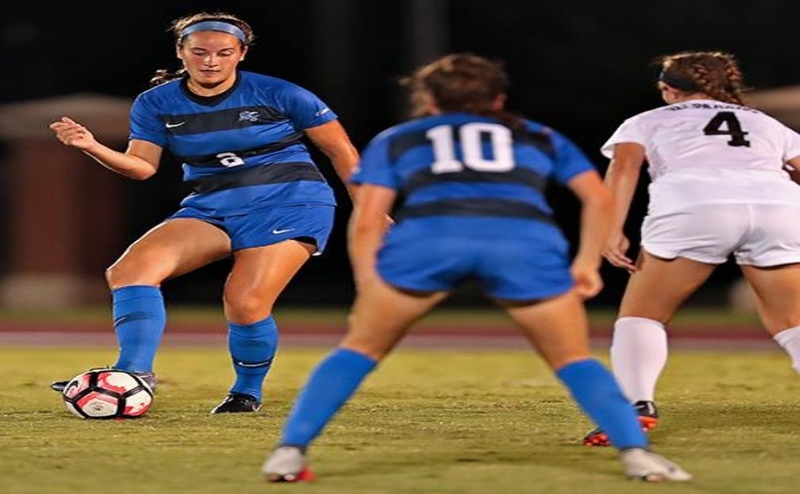 If Chalcraft is able to ride this hot streak well into conference play, it will not only give herself confidence, but will make the players around her confident in the knowledge that they have a goalkeeper that will give them a chance to win every game. The talented redshirt freshman forward is second on the team in goals with two. 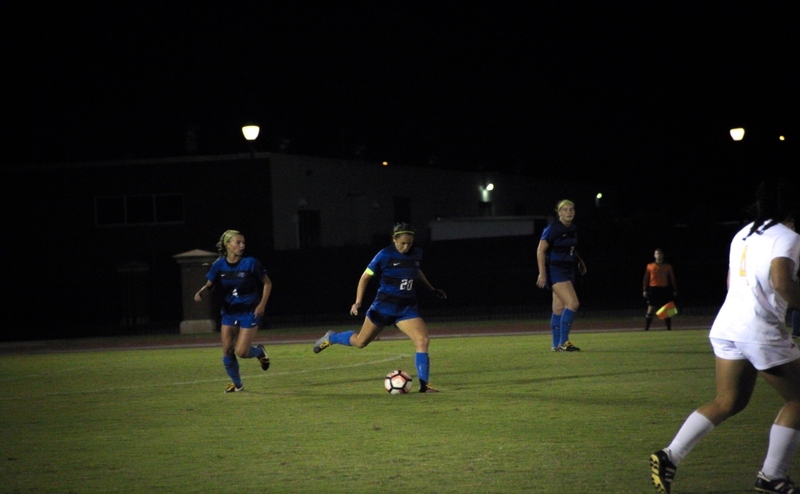 DeBien enters conference play as a reliable option coming off the bench, but when called upon, she will need to be a constant threat to score each time she touches the ball. If DeBien can turn into the goal scorer, it will open up opportunities for her forward running mates. DeBien is extremely capable of becoming an all-conference player and could be a ten plus goal scorer by the end of the season. The fantastic freshman DePriest leads this Blue Raider team in goals with five and points with twelve. Even though she is just a freshman, she definitely does not play like one. She has been a constant threat to score every time the ball is at her foot, and she has never seen a shot that she didn’t like. DePriest should be a definite lock to make the all-conference freshman team and will be a strong contender to win Freshman of the Year. This team will go as far as DePriest wants to take it, and she could score fifteen plus goals this year. DePriest will give opposing defenses fits every game during conference play.